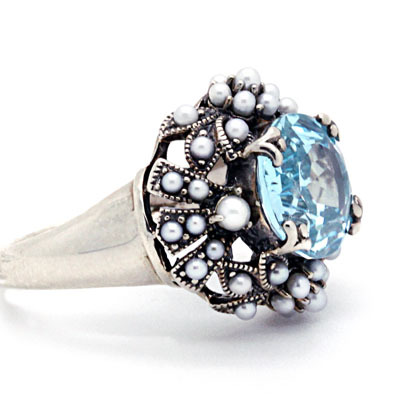 Blue Topaz And Pearl Ring In Silver - R6230 at Reliable Gold in Rhode Island Reliable Gold Ltd. Stylish and just beautiful blue topaz ring creatively and ornately surrounded by pearls and set in sterling silver. 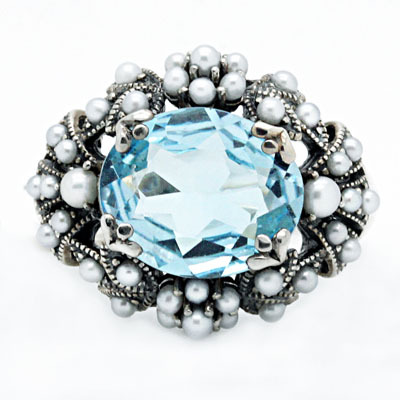 Size 7, but sizeable, and 6.4 grams.